When you have something customized, there is always an extra feeling that what you’ve made represents you and is really made for you. On certain occasions, for example, when you need to send out cards, the envelopes would always look better if they have a nice color, as well as a unique design or your name printed on them. Now that the holidays are here you have a good reason to check out customized card and envelope printing for the greetings that you want to send out this Christmas to friends and family. One great thing about the end of the year is that this is the best time to update loved ones about what your family has been up to this year. The vacations taken by the whole family, as well as other family members’ individual vacations for 2012 can be the theme of your holiday cards this season. Aside from the fact that you’ll be able to share your family vacation stories, you can also have good photos of beautiful places custom printed on your Christmas cards that you will be sending out. You can have the envelopes custom printed too. To do this project, you’re going to need a good custom printing company. Overnight Prints is the company that you can do this with. They are known for making quick online prints, and the print products that they offer include custom cards and envelopes. True to their name, they can make fast online printing and can cater to their clients’ deadlines. You can just upload your chosen family vacation photos or designs based on their specifications, and you can also choose from the number of design templates that they have on their website. If you do choose any of their design templates, you can still customize card and envelope printing by inserting or adding your own logos and photos. Moreover, Overnight Prints use nice and thick papers of topnotch quality. They’re environmentally friendly too, so you won’t have to feel any guilt for using nice papers. Now that you know where you can go to have your cards and envelopes customized for the season, you will no longer have any difficulty looking for a company to help you customize your other cards for different occasions. Birthdays, weddings, thank you cards, Valentine’s Day and other important events and parties will be a lot more special when you use nice custom-made envelopes. You can even have an envelope printed with a more generic design bearing your name, so that you can stock up for the whole year on important cards and letters that you need to send out. We all have to send cards out at some point. It is always a special thing to do to let everyone know you wish them well, especially now that it’s Christmas season once again. 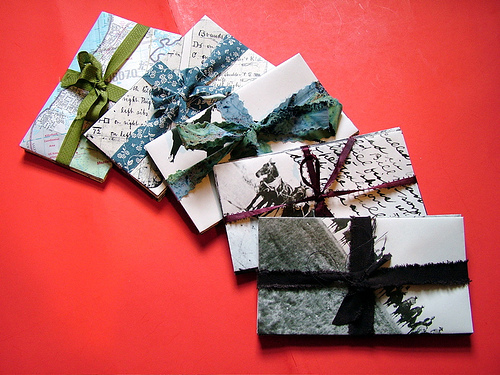 But there is no need to choose any season for giving out cards with nice envelopes to boot. 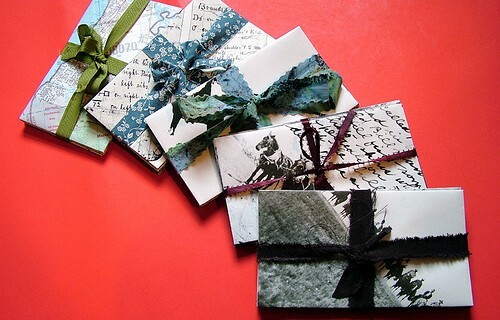 You may even come up with an excuse to send a card to someone just to use your nice custom-made cards and envelopes!